Andy Slavitt knows a thing or two about saving a sinking ship. 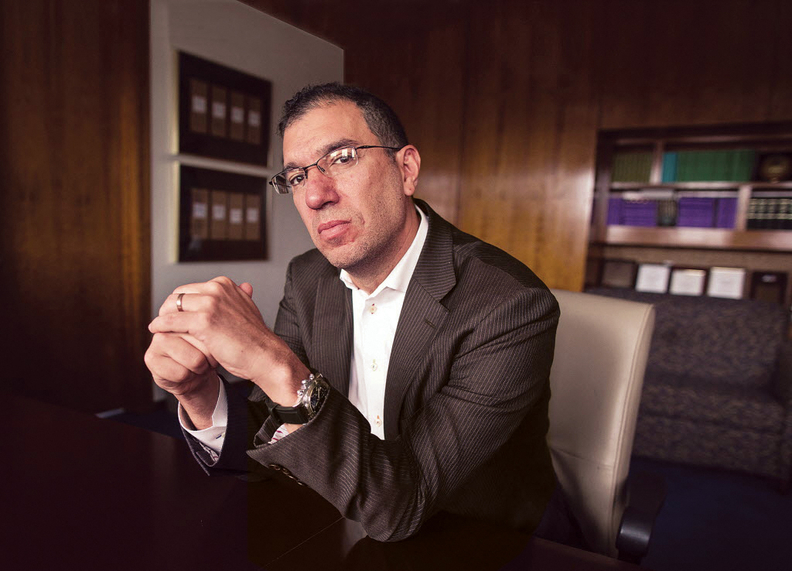 In October 2013, Slavitt, then an executive at UnitedHealth Group's Optum division, was asked by the Obama administration to help rescue the faltering HealthCare.gov. As principal deputy administrator and then acting administrator at the CMS, Slavitt was unusually direct. Since leaving the agency this year, he's even more outspoken and is one of the most prominent voices opposing the GOP's efforts to repeal and replace the Affordable Care Act. He's strongly advocated for saving Medicaid and ensuring that the individual market remains accessible. Slavitt, now a senior adviser to the Avia Innovator Network, recently spoke with Modern Healthcare reporter Mara Lee about the ongoing repeal-and-replace debate. The following is an edited transcript. Modern Healthcare:​ What was Obamacare's biggest mistake? Andy Slavitt: Not creating enough of a subsidy; being too stingy on subsidy levels in the interest of being fiscally prudent. MH:​ A recent Harvard study showed that even asking low-income people to pay $39 a month causes 25% to decide not to buy insurance. Charging about $80 for slightly higher earners causes half to drop out of the market. What does that tell us about the individual market? Slavitt:​ That study really demonstrates how many people who are on very low and fixed incomes—even an extra $5, $10 or $20 a month, it's substantial. Many people consider healthcare insurance a luxury. As we look at the ACA, if we had been more generous on subsidy levels, we would've had coverage levels similar to Massachusetts. (Massachusetts charged $39 a month; in the ACA, a similar level of coverage at the same income level cost $83.) Look at the American Health Care Act, where subsidy levels are dramatically reduced. I hope the Senate looks at that, and takes that very seriously. MH: What do insurers want out of ACA reform? Slavitt:​ What they want mostly is for the administration to stop the nonsense. Fund the cost-sharing reduction payments. Stop talking down the market. The insurers want the bills to die a slow, quiet death without them having a hand in it. Mostly, they want to see us not flop back and forth every four years or eight years. We've lived through this seven years of painful obstruction (to the ACA), and now we're living through the first quarter of painful sabotage. That's not good for insurers, but mostly, that's not good for Americans. MH: How should Medicaid change? Slavitt:​ I consider the Medicaid program of old to be typified by no accountability for hospitals, a limited focus on access. Democratic states and a number of Republican states are beginning to move to Medicaid managed care that is quality-driven and starts to focus on social determinants of health. A truly capitated model achieves cost management better than per-capita caps. All (caps) do is fix the federal government's obligation and put it on the state and ultimately, the beneficiary. MH: Democrats are insisting they won't participate in ACA reform until Republicans stop trying to repeal it. But when Senate Republicans are talking about keeping some of the taxes that fund it, and keeping an income- and age-based premium subsidy, isn't it somewhat a question of semantics? Slavitt: Some of it is semantics, but in my mind, unless you take Medicaid cuts off the table, it's a nonstarter. First of all, it's not the problem the American public hired the president and Congress to solve. People wanted the deductibles to go down and the premiums to go down, and they didn't want to lose coverage. Medicaid is the insurance that covers half the births; that covers half the long-term care in the country; that is essential for anybody you know who lives with a disability. I don't think we'll go anywhere on a bipartisan basis as long as that's on the table. My general sense is that bipartisanship will happen if people view partisanship as a dead end, or something that would drive the party off the cliff. I believe that's where we are, and a growing number of Republicans see that. MH: Are hospitals relying too much on their associations to lobby for the version of ACA reform they want? Slavitt:​ They think (lobbying by) the American Hospital Association or the Federation (of American Hospitals) is enough. It's not. I don't think hospitals are being vocal enough. If I were a children's hospital, I would be screaming from the rooftops. I think the Catholic hospitals are doing a good job. There's a lot of groupthink that goes on in Washington. The only way to break through the groupthink is for constituents of all sorts to talk about what's important to them.